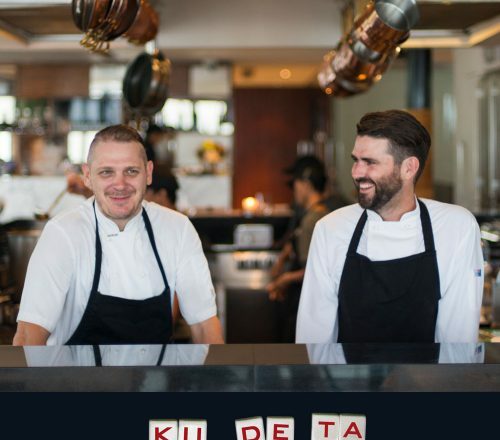 Ku De Ta’s legendary annual culinary splurge, I’m An Angel Boutique Feast – is set for September 10 with a mouth watering line-up of regional talent. Ondy Sweeting explores who goes beneath the torque blanche. 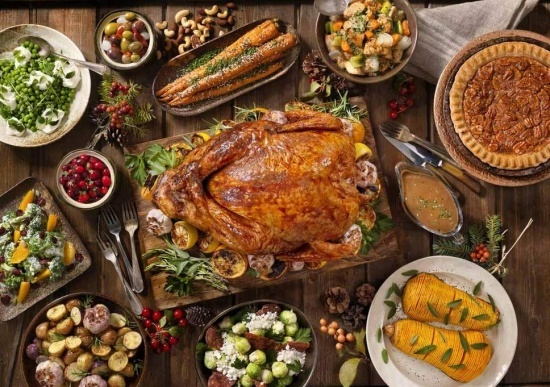 The gastronaughts have landed and six of the region’s most creative and dynamic restaurants have banded together to forge a troupe of very merry men – and even happier diners. 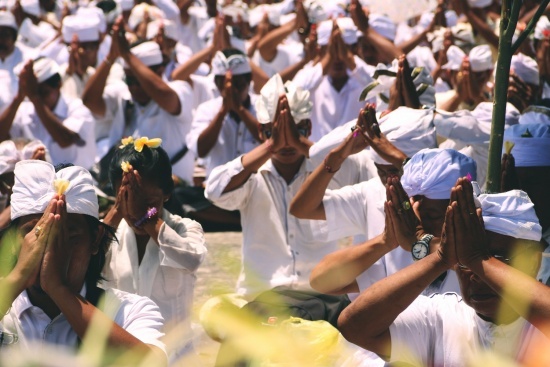 Armed with superlative culinary skills, with hearts as large as their kitchens, these internationally recognised chefs are donating their time to the children of Bali. 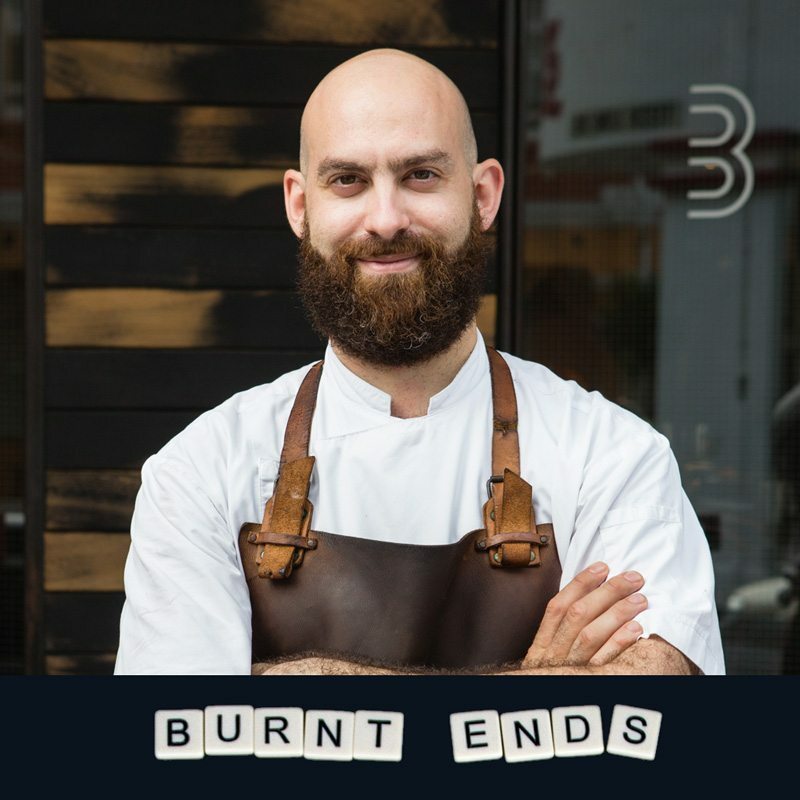 Chef Ben kicked off his career at Byron Bay’s award winning Rae’s on Watego’s, which propelled him to Sydney MG Garage, owned by Janni Kyritsis and on to Neil Perry’s Rockpool Group. 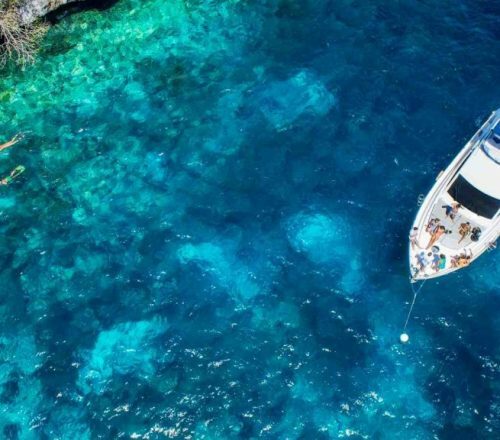 Chef Ben has also spent time honing his skills at Tom Colicchio’s Craft in New York and the late Santi Santamaria’s Three Michelin star restaurant, El Raco De Can Fabes in Sant Celoni, near Barcelona. 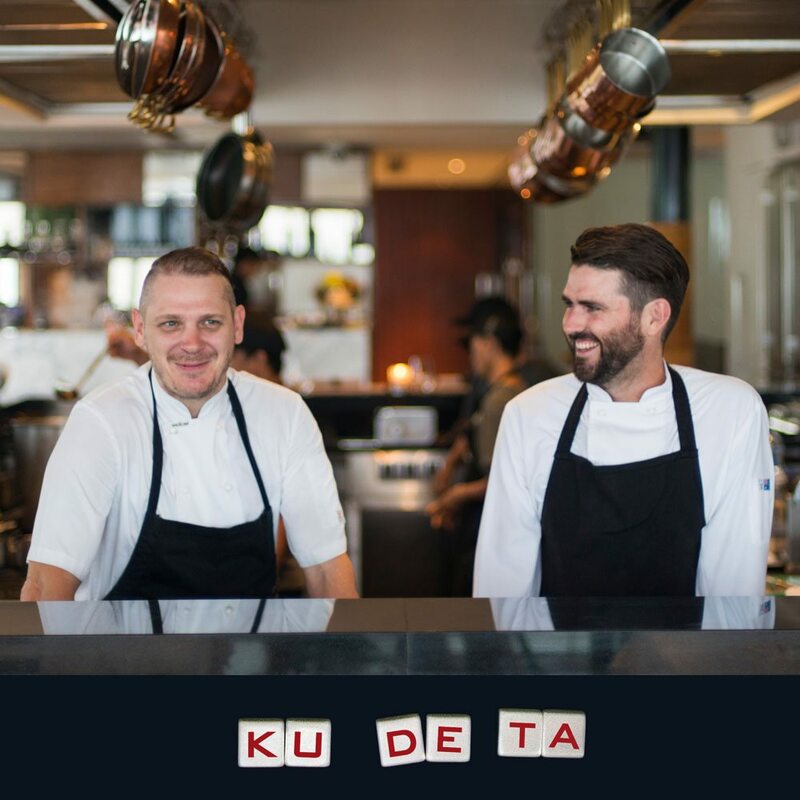 He joined Ku De Ta in 2008 to cover the busy Christmas season and quickly seized the role of Executive Chef. He was instrumental in creating the upscale Mejekawi as a fine dining room with a cutting edge test laboratory. Here the ‘French-style’ cheese is made by hand to pair with the house-made sourdough and this is just the beginning. British-born chef Stephen’s gastronomic skills have been nurtured and refined in some of the globe’s finest restaurants, hotels and resorts over two decades. He cut his teeth in Perigord, France and quickly moved to Switzerland, Britain, New Zealand and then Australia to the kitchens of the Park Hyatt restaurants in Canberra, Melbourne and Sydney. At Neil Perry’s Rockpool he met chef Ben. He moved the luxurious Aman Resort in New Delhi. Stephen spent six months at the three-Michelin star El Raco De Can Fabes in Barcelona under the tutelage of the late Santi Santamaria. 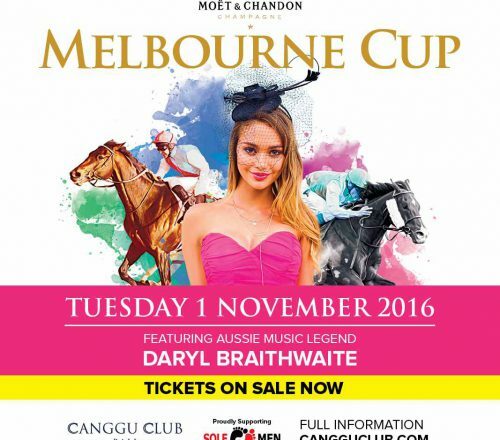 He kicked back to Sydney where he teamed up with Chef Ross Lusted at the Bridge Room before joining Ku De Ta. 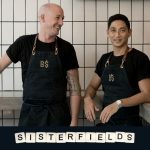 Raised in Western Australia, Dave has a heavyweight culinary background working under legends such as Tetsuya Wakuda, Noma’s Rene Redzepi, Asador Etxebarri’s Basque genius, Victor Arguinzoniz, Nuno Mendes of Viajante, underground supper club, The Loft Project and Fergus Henderson of St John and St John Bread and Wine. But it was the traditional Basque cuisine that set alight to Dave’s desire for cooking with fire and honed in him the technical skills to execute this specialised technique. 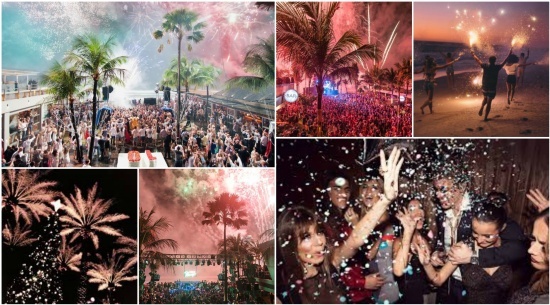 Singapore was gifted with Dave and Burnt Ends in 2012 and he is looking forward to taking his Singapore and Hong Kong dishes to Gastronomika in San Sebastian this year. Born in Wiltshire, UK, Ryan’s culinary career began when he was 14 years old and he went on to train under some of the world’s greatest chefs including Marco-Pierre White, Peter Gordon, and Emmanuel Renaut. 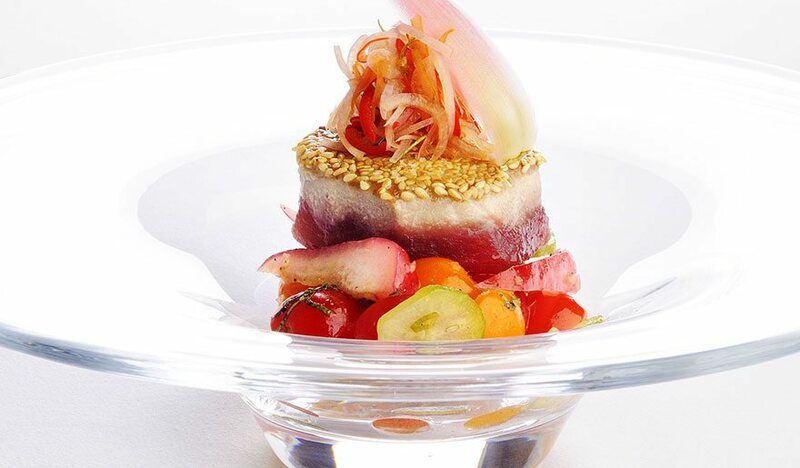 In 1999 Ryan moved to Australia as Head Chef of Shannon Bennett’s critically acclaimed Vue de Monde in Melbourne. 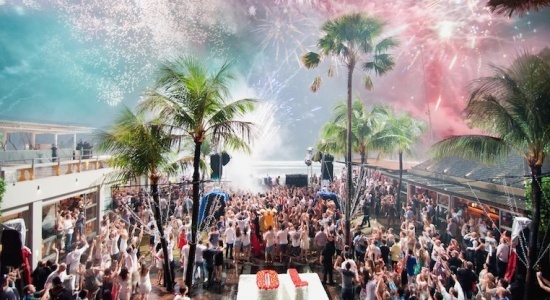 In 2008, he landed in Singapore to create his Tippling Club and introduced his subversive take on contemporary Euro-cuisine and fabulously inventive cocktails. 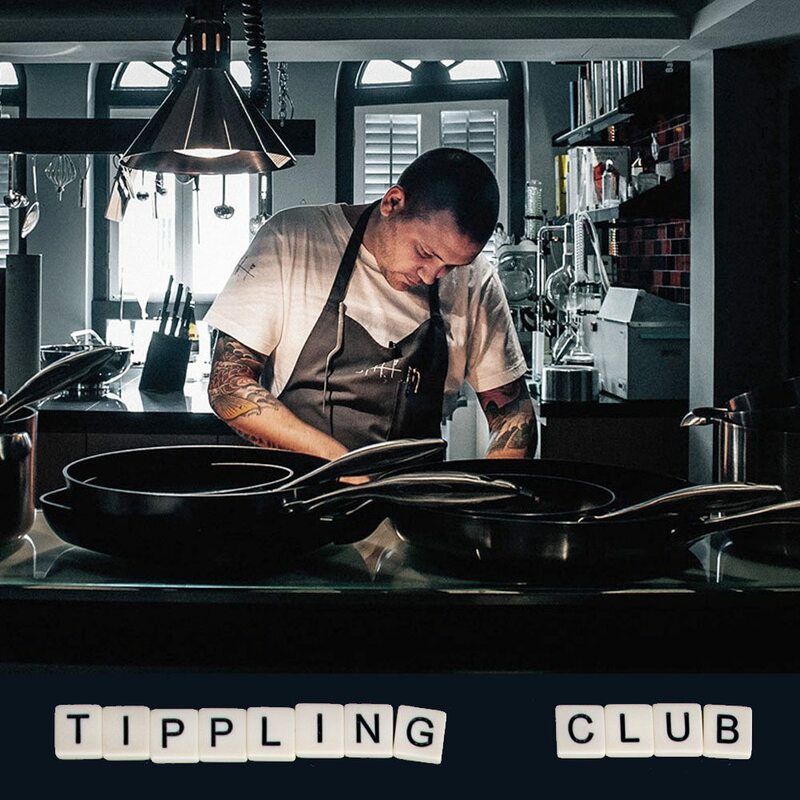 Tippling Club was named in the Top 20 of The Miele Guide and in 2011 Ryan was the first Singapore-based presenter at Madrid Fusión culinary congress. 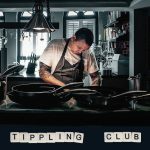 Two years later Tippling Club bagged five awards at the World Gourmet Series Awards of Excellence including the coveted Restaurant of the Year and Bar of the Year. He has also been on an all-star panel to judge the next generation of culinary powerhouses through Singapore’s Eat List Star. Jakarta-born Ray Adriansyah quit his business school studies in New Zealand to chase his passion for cooking and graduated from culinary school in Christchurch. Back on home turf, Ray secured a job as sous Chef in Jakarta under Eelke. 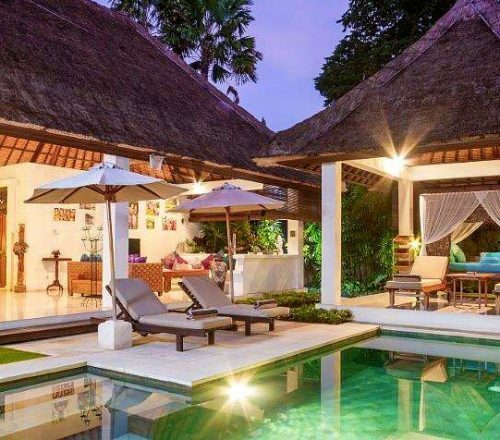 The two chefs moved on to take over the kitchen of the beautiful Alila in Ubud and they’ve been working together in the kitchen exploring the flavours and abilities of local ingredient to astonishing acclaim ever since. Eelke Plasmeijer started his kitchen career as a young teenager in a restaurant in his Dutch village. 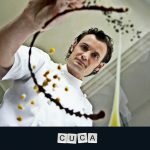 He trained his way through the traditional ranks at hotel school and a Michelin two-star restaurant in Amsterdam. 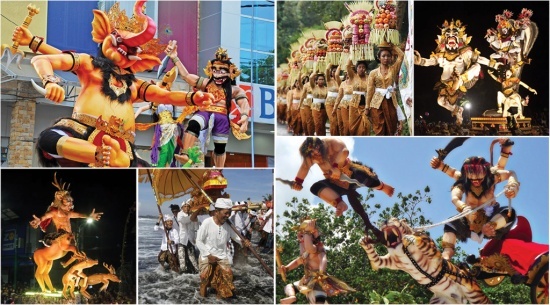 During a visit to his Jakarta-based mentor in 2008, Eelke was persuaded to remain in the city as Head Chef. Ray became sous chef and the two soon they found themselves in Bali, firstly at Ma Joly in Tuban and then at Alila Ubud before going on to create the game changing restaurant, Locavore. 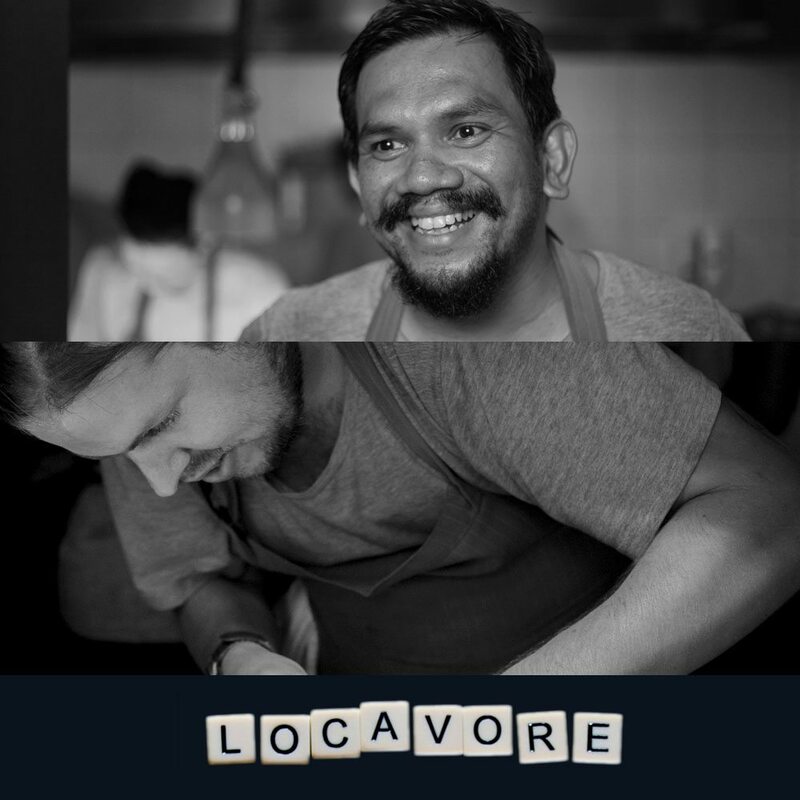 With a passion for sustainable local ingredients and a talent for butchering, Locavore set Bali on fire and the buzz continues to build. Canadian-born Kevin developed his skills at Michelin three-star Arzak in San Sebastian, the legendary Michelin three-star El Bulli in Roses, and Michelin two-star La Broche in Madrid. He also left his mark in New York City during his tenure with Daniel Boulud at his highly regarded Michelin three-star Daniel. He also has gold and silver medals at the Chaîne des Rôtisseurs national and regional competitions in 2003, a gold medal at the USA Chicago Culinary Salon Team Canada 2001, and three gold medals at the British Columbia Chefs Association Hot Culinary Competition in 2000 under his apron. Kevin also snared a fifth place as an apprentice rep at Bocuse d’Or World Cuisine Contest. 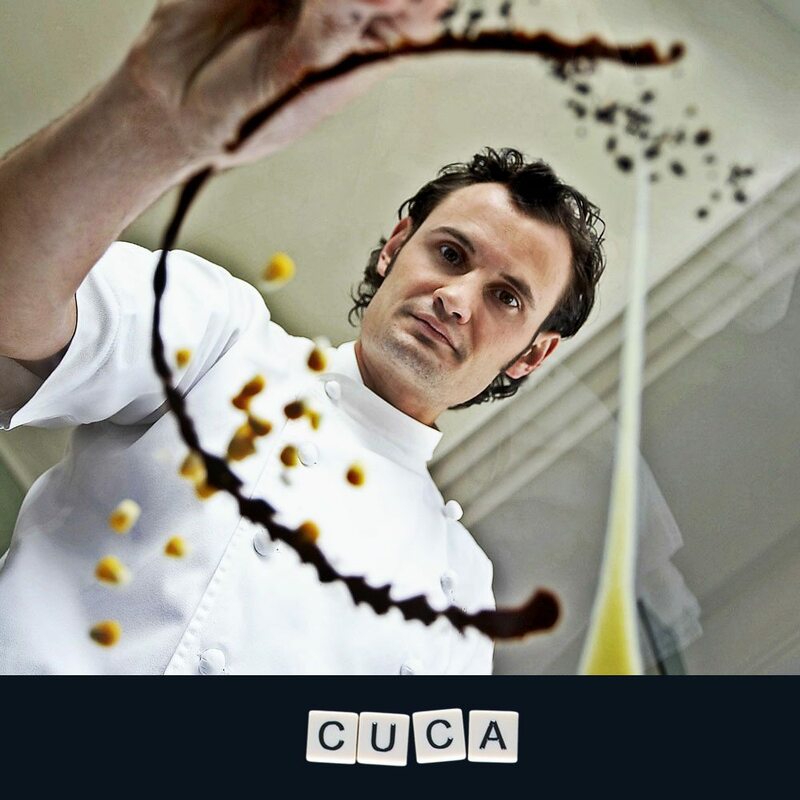 Cuca puts the focus on extraordinary tapas dishes that are inspired by iconic dishes and crafted into creative plates that speak with flair of creativity and endless reinvention. Kiwi chef Jethro returns to the world of decadent dining at Bikini, using skills he honed while creating degustation menus at the esteemed Whare Kea Lodge in New Zealand. It was there that he learned to work with seasonal produce and learnt the benefits of using locally sourced ingredients – skills that are clearly present throughout Bikini’s menu. Mauritian-born Australian-bred chef, Kevin Chung, similarly brings more than 15 years of experience in a five-star setting to the kitchen, having worked at Sydney’s Rockpool with Neil Perry, Longrain under Martin Boetz and most recently, as Chef de Cuisine for Starfish Bloo at the W Retreat & Spa Bali – Seminyak. Before starting the much-lauded Room4Dessert in Ubud, Bali, Chef Goldfarb gained an international reputation for his mastery and innovation with stints in the famed kitchens of El Bulli, Gerald Mulot, Cibreo and Tetsuya. An awesomely talented and technically skilled pastry chef, Will uses gastronomy, science, precision, wild imagination, local ingredients, and traditional techniques to create rare and unique dishes. 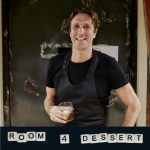 The original Room 4 Dessert opened in New Yorks’ Manhattan to huge praise. He was featured in Ferran Adria’s book “Food for Art, Art for Food”, where he was called one of the most important chefs in the 20th century. While Room 4 Dessert New York closed and Ubud arose, Chef Goldfarb was formerly with KuDeTa and Mejekawi and is now Culinary Director for PTT Family – the Indonesian hospitality and lifestyle company behind the iconic Potato Head and Katamama group.